Celebrating Our Grand Opening With Gifts! Fun With A Message ART PRINT giveaway! 8×10 Giclee Art Print on Premium Archival Canvas Paper. 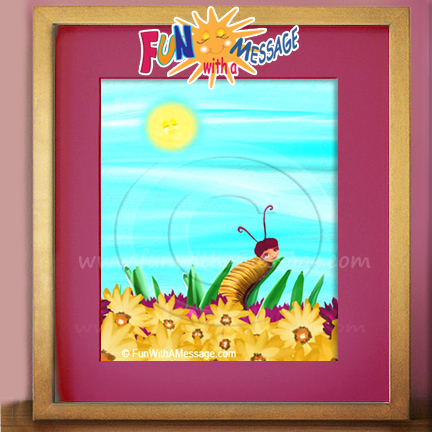 Children’s wall art featuring a beautiful little caterpillar climbed on a leaf enjoying the sunshine. Print comes unframed. Also available in a gallery wrapped canvas. See our Wrapped Canvas listings at our store. Art Print Store – Grand Opening! We are celebrating our New Art Print Store with freebies, giveaways and sales! We’re now offering our exclusive art prints on sale at our ONLINE STORE: see it here! 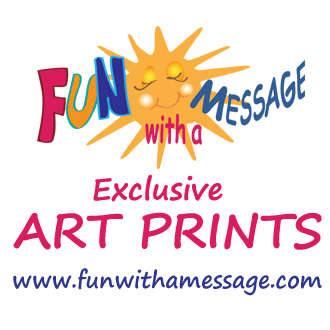 Fun With A Message Art’s is art that inspires, encourages and is family friendly. Our art prints are a perfect baby shower gift, wedding gift, and make a beautiful addition to your kids room decor. To celebrate with you, we are offering a special discount just during our grand opening! Don’t forget: We donate a portion of our artwork proceeds to charities that fight child trafficking. The artwork for the art print “SUNSHINE MAKES ME SMILE” was created exclusively for Caterpillar’s Dream Children’s Book published by Fun With A Message and written and illustrated by Roitman Trillo. It’s our Fun With A Message Art Store Celebration Giveaway! SUNSHINE MAKES ME SMILE is an original artwork painted using various media. The giclee print comes unframed sized to 8×10″ printed with archival inks on archival fine art paper. Fun With A Message’s “SUNSHINE MAKES ME SMILE” Art Print Giveaway runs from March 3rd to March 18th. 11:59pm EST. Must be 18 or older, and a resident of the U.S. No purchase necessary. Void where prohibited. Winner has 48 hours after initial contact to claim prize. Winner will be selected at random by Rafflecopter. Winner’s name will be displayed on page and on Facebook page for notification purposes. On March 18th check out Fun With A Message Facebook page or Twitter Page. MORE GIFTS TO CELEBRATE! 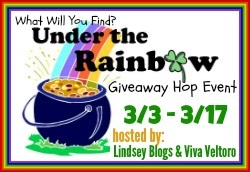 Fun With A Message has teamed up with some fabulous blogs for the Under the Rainbow Giveaway Hop Event. This event is hosted by the Lindsey Blogs & Viva Veltoro. Find below great prizes for you, so hop along to all in the giveaway linky below to find your prizes! Don’t miss the Grand Prize too – if you have 1 or 2 children, you’ll find the gold under the rainbow in the form of an amazing Fold N Go Double Stroller from Combi USA! Enter the Grand Prize here. So Easy Being Green, Viva Veltoro, Fun With A Message and the participating bloggers are not responsible for sponsors who do not fulfill prize obligations. Thanks for sharing on the (mis)Adventures Mondays Blog Hop! I love the “Little Bear: Picnic Fun” print! What happy art! I really like the Yellow and Pink field. It would brighten up my daughter’s room. Your art just make me feel warm and happy. I love the pictures with the flowers. 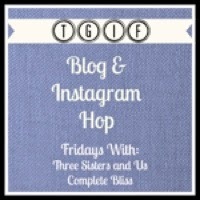 Visiting from the The Great Blog Train Linky. I really like the “walking in the rain” print, but all are beautiful! This beautiful print is my favorite of them all,but all are so very beautiful.thanks for sharing.